We’re in the League final. For long stretches today it didn’t look like this was going to happen, not because of any real failings on our part but instead due to the fact that Galway appeared to have the beating of Tyrone up in Omagh. But then the narrative changed in Healy Park, while at the same time we began to lose some of the grip we had in our contest against Monaghan. We had to endure a nervy enough final twenty minutes but did enough to win by three while Tyrone went on to beat Galway, with the combination of these results sending us through to next weekend’s decider, which will be against Kerry. But I’m getting a bit ahead of myself. Going into today’s Round 7 meeting with Monaghan we knew that, first and foremost, what we had to do was mind our own affairs and get the desired result here, hoping that this might then be enough to get us an outing at Croke Park. Our first half performance was the best we’d played on home soil for ages. An early goal jabbed home by Kevin McLoughlin after clever work by Darren Coen was just the start we needed and undermined Monaghan’s hopes of building up a wind-assisted first half lead. In fact, aside from the opening score, they never led thereafter today, though they had pulled level by the end of that first quarter as we’d failed to add to our tally. Points from Jason Doherty (a free), Fergal Boland – a glorious outside-of-the-boot effort from the left – and debutant James McCormack put us three clear as we began to settle nicely. By half-time we were seven to the good, with Kevin McLoughlin having added a second goal shortly before the break. Before then Fergal Boland had added two further points from play and the goal came at the end of a cracking move that saw Aidan O’Shea burst forward, do a quick give-and-go before feeding Kevin who lashed it to the net. We lost David Clarke soon after the goal. In truth, Monaghan should also have been denied the services of Darren Hughes for the disgraceful man-before-ball challenge on the Ballina man. He was very lucky to pick up just a yellow for a foul that saw the ‘keeper stretchered off, Robbie Hennelly coming off the bench to replace him. In stoppage time before the short whistle Aidan boomed over a point from distance – only his second score of this League campaign – and then Brian Reape, who wasn’t long on the field having replaced the injured Conor Diskin, claimed a forward mark and slotted it over. The sense of satisfaction we all had at that point was tempered to some degree by the news from Healy Park. Galway were well ahead and no matter how much we might win by if they did they business there then this would be the day our 2019 League campaign would end. We still had to finish the job against Monaghan as well. They started brightly after the break, notching three points on the spin after McCarron and Robbie Hennelly, from a great long-range free, had traded points. Darren Coen settled the nerves of the Mayo supporters – in an enormous crowd of 13,287 – with a peach of a score from out on the right. Then word began to filter through that Tyrone had struck back and were now leading in Healy Park. Our own contest took a significant turn when Monghan’s Fintan Kelly got a straight red for a stupid hit on Fergal Boland. When Kevin McLoughlin pointed for us soon after it looked like we might cut loose and do some real damage. A goal for them by Darren Hughes soon disabused us of any such notions but within minutes we had another goal ourselves, this one bundled inadvertently to the net by Monaghan corner-back Ryan Wylie after Darren Coen bore down on goal and Kevin McLoughlin’s initial effort was kept out. We continued to turn up the heat on them. Brendan Harrison – who had a great battle all day with their dangerman Conor McManus – raided forward and lifted the ball over the bar off the fist. Jason Doherty then swivelled and shot over, following which Aidan offloaded to the rampaging Kevin McLoughlin who smashed it over. But Monaghan weren’t finished and six points without reply, most of them McManus frees from distance as we opted to foul out round the 50-yard mark, brought them right back into contention as time began to run out. We eventually ended a long scoreless spell with a point from play by Diarmuid O’Connor and when sub Donal Vaughan banged one over following a great pass by Kevin McLoughlin that gave us the breathing space to see out a slightly nervy but still hugely welcome three-point win. What was great about today – apart from the fact that it’s another win at MacHale Park, one that sees us make it to the Division One final for the first time since 2012 – was how James placed his trust in a less experienced selection. Sure, the team was backboned by several long established players but there were plenty of young guns on display and, with the game still very much in the melting pot in the second hand, James threw on a number of players who had seen little or no League action to date. Jason Gibbons, David Drake and James Carr all came on into that high-octane environment. And so our return of five wins from the seven matches we’ve played in – despite all of the experimentation that has been done – means we’ve now got the significant reward of a League final appearance to look forward to. In it we’ll face Kerry, a team we know plenty about but a side we definitely won’t fear taking on at Croke Park this day week. It’s a final James Horan and his charges will, surely be eagerly relishing, as we supporters should be too. Mayo: David Clarke; Stephen Coen, Brendan Harrison (0-1), Eoin O’Donoghue; Paddy Durcan, Chris Barrett, James McCormack (0-1); Matthew Ruane, Aidan O’Shea (0-1); Fergal Boland (0-3), Jason Doherty (0-2, one free), Diarmuid O’Connor (0-1); Kevin McLoughlin (2-2), Darren Coen (0-1), Conor Diskin. Subs: Brian Reape (0-1) for Diskin (blood), Robbie Hennelly (0-1) for Clarke, Jason Gibbons for Ruane (blood), David Drake for O’Donoghue, James Carr for Darren Coen, Donal Vaughan (0-1) for McCormack, Ciaran Treacy for Boland. The afternoon wasn’t, sadly, as productive for the ladies team at MacHale Park this afternoon. Well in it at the break, where they trailed Cork by just a single point, they were blown out of the water altogether in the second half. They lost at the finish by 4-14 to 2-5. We had just arrived into MacHale Park when the first Mayo goal went in shortly before half-time. This came via a rebound after a penalty, the ball stabbed to the net by Emma Needham. Cork started the second half with two players in the sin bin. Despite this they took control early on after the break, though a cracking goal by Sinead Cafferkey – which would prove to be the team’s only second half score – cut the gap to one. From then to the finish, though, it was all one-way traffic. Cork piled on point after point and then, for good measure, added in two goals shortly before the end. This was a comprehensive defeat, one that now ends the county’s interest in this year’s League campaign. Hard luck to them. I told you all the fire still burns. Off we go to Croker. The young apprentices carried themselves very well across the league and some older heads created the balance. Delighted for JH and squad. Please God we will see a Mayo man (Diarmuid) lifting a cup in Croke Park next week. A sight that has become much too rare. Well done James, a great win and a brilliant performance by the team. Some job selecting for the League Final. We owe Kerry a beating particularly in a final in Croker as they humiliated us too many times there. I told you we would do it Wille Joe but as usual we had to sweat it out in the second half! Totally delighted for these Brave young footballers , Boland, Ruane, Darren Coen,Reape young footballers who fought like dogs today along with our more experienced Warriors Mc Loughlin, AOS, Barrett, Clarke and Diarmaid. What a team JH is assembling now and Kerry waiting now in the League Final. It will be very interesting now what Team JH starts against The Kingdom. I would not like to be picking the Team! I feel we should now start our strongest Team against Kerry and go for the jugular. To win a National Title would be a massive boost and would really set us up for a good run in the Championship. For the young Guns the more you play in Croke Park the better. Wouldn’t it install great Confidence in All? A word of caution however as Kerry will be a different Animal to the one we wounded in Austin Stacks Park last week. They will want to put one over us and lay down a marker for the rest of the season, that’s why JH now should play his strongest line up with the likes of Ruane, Plunkett, Mc Donagh and Reape STARTING next Sunday.We are now starting to assemble one of our Strongest ever panels and there will now be real experienced players on our bench ready to come on when Mayo matches are in the melting pot. The League has truly brought on the young lads now and we need to start them come Championship. So Congratulations to Mayo and JH a brilliant day and a brilliant League, onward and Upward for next Sunday. If we can play like we played in Tralee last week Mayo will be National League Champions come next Sunday evening. Safe travelling to All next Sunday on the roads. Lets shout our loudest, Cheer these great Players and Clap our Hands off next Sunday! WJ – If I’m not mistaken Aidan scored a point from a Mark against Cavan. No Higgiins, Keegan, Boyle, Andy or Cafferkey in the 26, never mind the bench. Not to mention the continuing absence of SOS and Parsons in the middle. Yet Mayo got the job done. Yes, an unnecessarily nervy finish – why pull everyone back when we have the extra man? – but you have to tip the hat to JH. Even if they’re hockeyed in the final, the transition process has properly begun. Lets not be thinking of getting hockeyed. We need to win this. Its an important game for Mayo. Great win, Coen is a great ball winner inside. Boland had the freedom of the park and took his oppurtunity-fair play to him. Harrison solid as a rock. Hope to see Lee and Keith back for the final. Boyle was togged today DavyJ. Replaced plunkett but didnt feature. Given we don’t start proper collective training until May, things are looking decidedly rosier this evening than the depths of Mordor this blog was after the defeat to Dublin..
On a sadder note, I see the daffodils are relegated once again. In addition to the newbies you got to love the experimentation, Harrison at FB, Coen at CB, AOS in Midfield and McLoughlin in the FF line while our all stars sit on the bench and in the stands. Really looking forward to next weekend now. Hopefully Ruane is ok. He was quietly effective today and his loss was sorely felt when Gibbons replaced him. Mighty job by the young guns today. From no croker in the summer last year to twice within a few weeks. Looking forward to it! Ruane was also back on the pitch signing jerseys and taking selfies! Great day on home soil for a change . Sad to hear boos as the Monaghan team made their way to the pitch before throw in . Hon Mayo . You’re correct, CrossFlan – I’d clean forgotten that one. Great to be back in another final. How a year makes a difference. This time last year we were biting our nails as we drew with Donegal to wait up in Division 1. A year later we are in Division 1 final. To be fair to JH after todays game I think he gave every player in the panel a bit of game time between FBD and league, ending with some game time for Carr and Gibbons, who did not feature before now. Its now down to who makes the team for final, that will hopefully get us over the line. I wont even attempt to make a prediction, just to say each and every player who lined out this season deserves a medal. Some people say it would be great for the young new players coming in, and I say it would be better for the stalwarts who have soldiered to a man this past 10 years. I know we beat the Kingdom a week ago, but as they say, a week in politics is a long time. Its in our hands how we play next week providing we don’t have “The Robber from Nobber” as the referee. Take a bow lads one and all. You all deserve a day in the sun. You can add Cillian to that list, DavyJ. Great achievement to reach a League final without any involvement from our all-time leading scorer. Equally, great that he’ll be back shortly. Just home from match.great to win and to get to the final,thanks to tyrone for the great 2 nd half performance to beat galway. the ladies match fizzled out tamely and i am afraid we are heading for second tier of ladies football. A Kerry V Mayo NFL Final. Brilliant, we will have a real game in Croke Park & not 14 men behind the ball . No matter who wins it is important to have pure football where both defences are well tested & not this northern stuff . It will do both teams good to have a big game at headquarters before the Championship . As for owing kerry a hiding , OK, maybe but don’t forget 2017 . We looked pretty sad on that occasion & deservedly beaten by a much better Team . Great win and well done to all today. Great to be in Croke Park for a final. Following up on Pat Kearns point I was disappointed to hear a group of Mayo supporters chanting “get him off” when the ref was dealing with various Monoghan fouls. There is a line between us having a harder edge and being unsportsmanlike and in my opinion that chanting is firmly on the wrong side of that line. I think today showed that we have a large group of talented players, given a positive environment they can flourish. Mathew Ruane going off was the catalyst for the lull, he and Aiden linked everything through the middle and are forming a formidable midfield partnership! Boland had a phenomenally good first 35, such a silky footballer! Harrisson was nearly back to his best, McCormack was sharp too. But Cohesively we were off the pace in our back 6 conceding so much! we will need to be tighter next weekend, and when a few of our more experienced lads come in, we will! Good win but Jack McCarron got 6 points from play. Need to sort that out or some of the Kerry forwards will make hay. Did Plunkett and McDonagh pick up injuries or why didn’t they tog? Will be an interesting team selection for next weekend. Hard to drop the players who started today after we won. Another competitive game is ideal for the squad. Magnificent….No blanket defense in Castlebar today…. 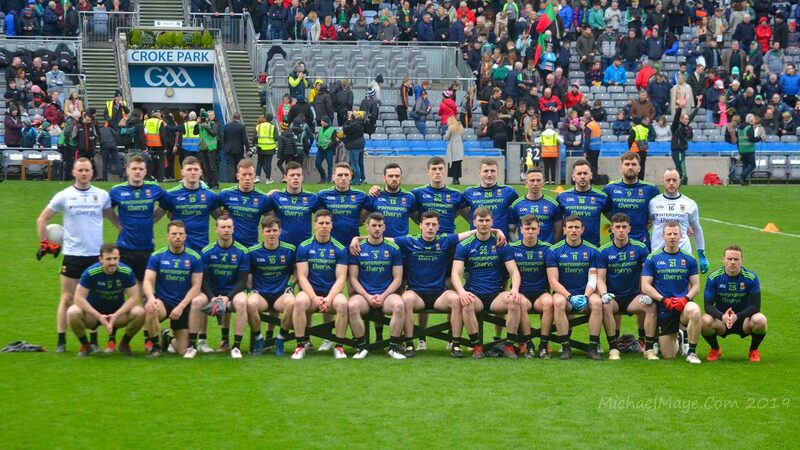 So many new players given a chance in the league… must be well over 30 player’s getting game time during the league,….We couldn’t ask for more really….4pm, next Sunday in Croke Park….V Kerry…(I won’t even attempt as to who will be in the starting 15, or the 26 )…. nice bonus for us as well, The All Ireland hurling Champions Limerick, face Waterford at 2pm in the Hurling League decider. Same day, Same Venue and Same Bat Channel….8pm Now and all is well! Really hope we can get a decent crowd to HQ next week . They really deserve 30k plus mayo . I’m gobsmacked if I’m honest that we have done so well . Yeah sad day for Cork. The conventional wisdom in 2010 was that they would dominate for a decade……didnt turn out that way. A couple of big losses to us really buried them 2011 and 2014. 2014 in particular they really had us under pressure and we were saved by the bell. You look at Offaly as well and see what has happened to them and it makes you realise you have to enjoy it wjile you have it. Well done, Mayo. Should be a great final. Having given Kerry a 2 point hammering in Tralee, I’d fancy ye to easily beat them in Croker, once you keep it tight and physical.. We’re waiting to integrate the Corofin contingent, so overall, the league has been a worthwhile experience for us.. I never thought after last summer that we would be in this position (of getting to a league final) so soon. James Horan deserves great credit for putting his faith in youth and using the league to try new players and combinations. 6 changes again today after last week’s win against Kerry and the subs today were both courageous and ambitious. It sent out a message to the whole squad that he trusts every squad member to do a job and that no position is safe. I said last week that I feared a league final was a double-edged sword (win and you are a target, lose badly and it demoralises us) but now I’m not so sure. The more big-game experience in Croker the younger lads get the better and a win would be a huge injection of confidence. Kerry will be itching for revenge after we beat them last week so I’ll be happy if we perform well, stay in the game until the end and bank the positives for the summer whether we win or not. Liam – I totally disagree…go and win the bloody thing now we are in it. Lose another final and the self doubts will re appear. We need a national title. Really positive performance today. I like this brand of football Horan has them playing- moving the ball quickly with urgency and accuracy….and little of the slow ponderous stuff of the previous few years. Great experience for the new lads playing a teak tough battle hardened team like Monaghan. Great to see so many younger players get a chance throughout the league with most of them performing well overall and a handful of them being quite outstanding. One disappointment is that we didn’t unearth any gem of a corner forward that could make the difference in a major battle later in the summer, but saying that we now have some real options at every other line on the field which is a big plus. In bonus territory now with another big day experience for these lads in Croker next Sunday. It would be absolutely fantastic to win this. National titles are very scarce for our men’s senior football team. Nevermind the target in our back or hype that could go with it.. we’ve had both of them for years. Bring it on I say. Won’t loose too much sleep either over cork going down. I remember them bullying us a couple of times between 2009 and 2011. Once we started beating them they cried like little babies. Correct me if I’m wrong but did their manager not come out in the media after we beat them complaining about our physicality?? Or perhaps it was in the build up to a game but either way they can drop another division for all I care. Overall a great league. Good start and good finish. We could end up playing kerry 4 times this year depending how the championship and super 8’s go. Good man Man of Aran. You’d fancy us to beat Kerry easily. No pressure there of course. I think this extra match will be as good as 5 or 6 training sessions to us. Nothing like competitive football for us. A tough day for teams relegated so we need to enjoy the week and next weekend. I’d say the morale in the camp must be electric. Overall the league has been fair. 2 most deserving teams through to the final with Tyrone a very close 3rd. I stand corrected on Boyler, MayoDunphy – good spot. Likewise on COC, Willie Joe (how could I have left him off that list??) – that only amplifies the achievement. Winning is never any harm! What a great performance today. We need big support next Sunday in Croke park to cheer on this great team. Great performance by all the young players. The full back is sorted now with Harrison. All The forwards scored from play and racked up a great score. Great credit to JH for his fast brand of real football which is a joy to watch.It will be a great final and a great day out in Croke Park. Any update on Cian Hanley , Tom Parsons and Ryan O’Donaghues injuries ? Is there a chance we might see them feature against New York ? I felt it was a mistake to introduce Fergal Boland in Tralee, given the conditions. I was wrong. I wasn’t sure of him starting today against a very rough, tough Northern team. I was wrong again. This evening I feel his display is worthy of MoM consideration. I agree with previous poster, Matthew Ruane was a loss when he had to go off. Let’s hope he is back for Sunday. Great to get back to croker for a final, should give some young players a start, but would hope / expect that experienced players will play a big role. Will be interesting to see who plays in fb line, is this the first time that we have faced David Clifford? Middle third will be important, Kerry took some criticism for being bullied in Tralee, will be sure that it does not happen again. Boland was a real live wire today, Ruane continues to do well, Darren Coen did some good things, delighted for Kevin Mc, such a clever player, from sweeper to playing in ff line, but no bother to him, will be interesting to see who stays in panel, hope development panel continues if this year’s league progress is anything to go by! Thank god mcstay is back on analysis, always balanced and on the ball. Tomás isn’t bad either but was inclined to talk up mayo. Just watching the galway v Tyrone highlights… obviously a strong wind up there today..but I must say galway did not look comfortable under the high ball at all… Sean Andy looked more interested in attacking than doing what he should do..as far the goalie…I think by and large goalies should stay put…if they are so keen to play outfield let them try out for playing outfield.. Sorry I disagree particularly in GAA where these guys are exposed so much to everyday interaction with fans opinions get through to players both positive and negetive. Why did we find it hard to beat Kerry for so long in championship. I think in part because we didnt believe we could. In GAA the players come very much from within our own community so yeah i think our overall confidence in winning does make a difference. I don’t see what you are disagreeing with Yew Yew Tree? Of course we want to win. “Needing” to win only puts us under unnecessary pressure. We also want to perform. K Mc D. Coen. Jason D.
– While the main switch made did not work (Barret taking over from Coen on McCarron) At least the switch was made early enough in the game. – Boland got through some amount of ball and was unmarked for most of the first half. Diskin and McCormack need to tidy up their tackling. D. Coen fitness needs to improve. – Plenty of experienced players rested today which means they will be fresh next Sunday as they will be needed. – If there is any team we need to beat in a final, any final it’s Kerry. Mayo will go 110% to win this and as supporters we need to be there in numbers and be vocal. 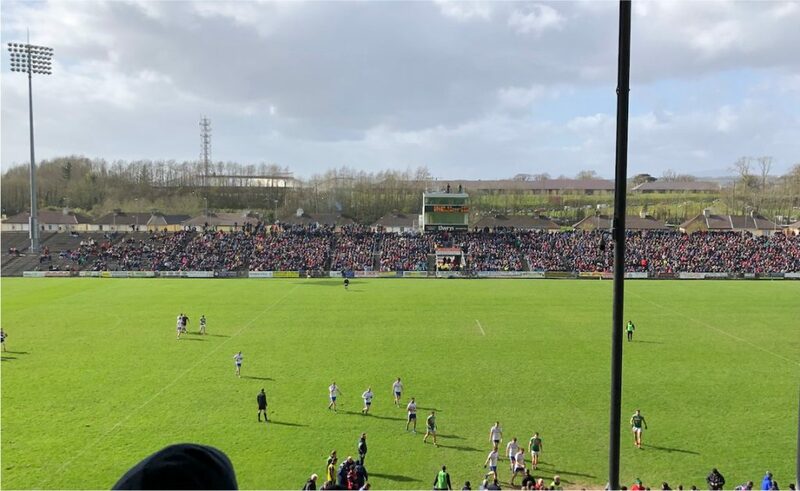 – Finally over 13k at match today versus 16k at the hurling double header in Nowlan Park . Mayo really is the cash cow for the GAA. – Judging by the number of kids that invaded the field after the match I would say the meet and greet went in for a long time.!! Well done today and great to be in a final but the boys from Kerry will fancy themselves. I think we will beat them but need a few specialist man marking setups. Kevin Mc jason doh and Andy would be my inside line but reaper can be hard done by not starting. As good as Boland was I don’t think the start would suit him as well. Sub role be the better. We’re now in bonus teritory. We’ve unearthed a handful of new players who will strengthen our squad as things were beginning to look bleak for the future . Well done JH and selectors. I wouldn’t play a half back in the forwards. We had 6 natural forwards starting today and we got 3-13 from play. That’s the only way to line up. Kerry’s weakness is in defence. Playing an extra defender would only let them off the hook. That would be my team for next week. I’d usually go for Clarke in goals but we need Robbie for the frees at this moment. Harrison on Clifford, Coen on Walsh and Barrett on O’Donoghue who I think will start. Higgins and Plunkett to hold the half back line and cut out the space inside. JH has them playing lovely football, new players are confident and slotting in easy. Will this be our year! We might do the double league & champ winners! Here’s hoping! Bit mad that most dummy selections here leaving out Keegan. Know he didn’t feature much in league and reportedly under the weather before Kerry, but question is would Dublin leave out a player of that ability for a league final? I know that means leaving out Plunkett who is playing well or Coen who continues to mature but more of a slow burner. Keegan on the other hand is a very dynamic player who could really trouble Kerry. The final will be a very different game to Tralee. I genuinely don’t think Kerry were at the pace of that game and they will have players back for the final. I still think they’re very beatable and we should not fear them but I think it could be a near championship level match. Will be interesting to see what effect Donie Buckley is having on the quality of Kerry’s tackling. I have to say as much giving out as we do about the gaa I think the league is a fine competition and very well structured. If you deserve to go up you’ll go up and if you don’t perform you’ll go down. The most consistent and deserving teams will make the finals. Teams on a par with each other get to battle each other and there is always alot at stake on the final day. I love the league. While it’s no harm seeing teams get a 2nd chance in the championship I’m not sure the Super 8’s is the answer. I hope the gaa look at the championship structure again and leave possible attendance and gate receipts out of the equation. I’m not sure what the best structure for a championship is but as regards to how both competitions are set up the championship is in 2nd place as it stands. Great performance all round by the team and it’s also great to see the versability of players in certain positions. The is still a slot up for grabs at 13 or 15 as no one has nailed it yet. Belmullet Lad and Pat Kearns, the boos and get him off chants were from about 20 mayo boys aged 9-11 up in top of the stands. I wanted to go over and tell them stop. I had a Monaghan friend with me and was mortified. I don’t know why the adults with them didn’t quieten them down. Roll on HQ next Sunday. Thought McLoughlin, Boland and O’Shea were immense. Good point, Sinead37. The chants could be heard clearly at the ground and were also picked up on the TV coverage. Mortifying stuff. If any of the parents of those involved are reading this – this one is on you. Have a word and make sure it doesn’t happen again. Couldn’t pick 3 MOM this afternoon. They were all excellent from 1 to 15. Clarke was one of them where do you go from there. Delighted Monaghan are in Div 1 next year. Another trip to Clones is something to look forward to. Monaghan played well in the second half but their first half performance let them down. I will say it again McCormack will be a cracker if he has the ambition. A very good, not great, performance but a deserving victory nonetheless. Even though I never felt like we were going to lose it, at no point in the game did we ever really have full control of the match, even when we had the extra man. We should have at least held them at bay when we went 6 or 7 points up and, while we did respond each time they reeled us in, we should not have had as nervy a finish as we did. I felt we panicked a little in our defending towards the end of the game and were guilty of sloppy, clumsy tackles in scorable areas of the field. With Monaghans running game and our lack of discipline in the tackle it was an easy option for them to look for frees anywhere centrally within 40 m from goal. They scored points from all 7 frees they took and had a brilliant 70% success rate from play. They were very, very efficient in front of goal and only for Clarkes brilliant save early in the first half things would have been worse. It was a strange defensive performance because individually I felt some of our lads did very well, Harrison was excellent on the best forward in the country in McManus. Coen carried well from defense and often had his marker tracking him all the way back the field in to his own full back line. Barrett, after some early rustiness was removed, swept up very well and sallied forward with intent. O’Donoghue and Durcan were both quiet by their standards but it was a first league start for both so maybe they were blowing out the dirty diesel. McCormack however looks very, very promising. Took his point well, supported the attack and looks comfortable in possession. He’s a big unit too and I believe he has huge, huge potential. With a bit of luck, that lad is going to be some player for us. A future All Star, mark my words! The lack of collective cohesion in our defense can be put down to the slightly different shape to our back 6. O’Donoghue has normally operated at 2 but was in the opposite corner yesterday, Coen is normally more central and further up the field but was at 2 and McCormack was making his first start. Great experience for them all. WJ, why are all my posts going straight to moderation? Is that the new thing or am I doing something wrong? I’m not sure, Pebblesmeller – it’s certainly not anything you said! This has happened others as well and a fix that seems to work is to use a different email address. It’s worth a try to see if this sorts it. Well done to all. Great to reach the final. 50/50 game to me but great for youngsters to get to play in croker. (We need to send a bottle to Mickey harte after helping us by beating Dublin and Galway). Yeah, I saw Bord na nOg buses from a certain Mayo club (had a rare starter in the team yesterday) parked at the Albany end of MacHale Park yesterday, so I assumed it was them chanting “send him off”. In fairness, it was obvious they were kids so I doubt too many people took offence to it, but whatever adults were with them should have told them to quit it. On the match, I thought Harrison was really excellent, Boland excellent also. Diskin ran into blind alleys and seemed to be blowing a bit, certainly wasn’t tracking back enough when he lost possession. He’ll have better days hopefully. I hope Horan keeps McL in the FF line from now on, he’s been excellent against both Kerry and Mon, such a clever player and a cool finisher. I’d have D Coen above Reape in the pecking order on recent showings also, looks like if he gets his confidence up and consistency into his game, he could be a big player for us. The panel is looking much stronger than in recent years, Horan has had an excellent spring, apart from the no-show against Dublin, and the frustratingly headless last quarter against Galway. Great result, and we were probably a lot more dominant than the final scoreline showed. Horan did seem to play this down a lot, suggesting we got a bit lucky. Now I wasn’t at the game and could only judge by what Midwest had to offer as well as the few bits of highlights RTE showed last night, but I thought we seemed to be full value for the win. I think we have our nailed down midfield pairing now – our next best might need some more experience however, things seemed to not go our way when Matty Ruane went off. Who’d have thought we would be able to grind out such a result without Leeroy, Boyler, Keith and Andy making it on to the pitch, never mind not having Cillian, Seamie or Tom available to select?. Also -can we play Kevin Mc at Full forward every game now?. WJ, will do. I will try a different email address. I was beside those kids that were chanting and, to be fair, it was obvious they were young ‘uns and it certainly wasn’t offensive. For once, there was someone else in the stand louder than me!!! Tubberman, I agree re Darren Coen. For someone who has been out of this level of football for a while he has adjusted back to it very well. He scored a great second half point and set-up McLoughlins goal. As in the Galway game, his ability to find space in crowded defenses and then link play with those around him is a big plus for us. His running off the ball was excellent too and he never shirked the physical exchanges with the hardy Monaghan lads. If good vibes and positive messages were all that was needed to win football matches Pat, the comments from this blog alone would have powered Mayo to several All-Irelands (and National Leagues) by now. Football doesn’t work that way. Regarding belief, my concern is not Kerry; it’s finals. Like it or not, Mayo have a mental problem with finals, and the only way to stop it is to man up and win one. Our record with Kerry in Croke Park this decade is decent – apart from the AISF defeat in 2011, we’ve beaten them in the 2012 League SF and the 2017 AISF, with two draws in 2014 and 2017. So Mayo shouldn’t fear playing Kerry in Croke Park at the moment. But our record in finals? Not only is it pathetic, it’s baffling. We have beaten Dublin, Kerry, Donegal, Cork, Tyrone, Galway and every other strong county this decade in championship – as long as it wasn’t in a final. Put us in a final and it’s a different story. Before all those finals there were hundreds of positive messages on this site, on MidWest, in the papers, on TV, you name it. As there will be this week. Personally, I believe this Mayo team are well able to take this Kerry team on in a final and beat them. But what I believe doesn’t matter come Sunday. Do the Mayo players believe it themselves? At some point our players have to stand up to the pressure of a final, overcome it and win. Supporters will give everything on the day, but we can’t win it for them, much as we would like to. DavyJ.Our results in finals beggars belief..Some of the utterly bizarre ways we have lost finals ie scoring TWO own goals(hasnt happened since of course)..We are more than capable of winning finals and honestly think that the psychological boost of winning on Sunday would be massive..Both for players and supporters..
Great to Darren Coen back in form after 5 years in the wilderness. He brings physical presence, good link play and an eye for a pass or a long-range point – quite a cxombination? Our fullback line continues to leak like a sieve – it was ever thus! An excellent league on the overall. 10/10 in terms of the full package of making a league final whilst developing a deeper panel. Bear in mind, with the addition of Cillian we surely would have been sitting on 12 pts at the end of the league and our one loss likely would have been a narrower defeat to Dublin. From a situation where you could name 14 Mayo starters and it was a 50:50 call Diarmuid v Paddy Durcan at half forward you would now not be too certain as to who is nailed on in which positions. Similarly, it’s not certain who the first six subs nor who the remaining bench players will be. John Martin – I don’t think that’s a fair or accurate observation about the full-back line. Up until yesterday’s game we had the lowest score concession rate of all the teams in Division One and our defence has been tighter this year than it’s been for ages. Don’t forget Lee and Keith weren’t even in the panel yesterday and we definitely gave up some defensive solidity (across the whole team) in pursuit of greater experimentation yesterday (which, by the way, was laudable and necessary). It was an odd kind of game for defences – Monaghan won’t, I’m sure, have been overly happy with the 3-15 they conceded either. WideBall, I think that team is spot on, only change I’d make is to switch Doherty and Boland, Boland be wasted in corner forward with his kick passing ability and vision. Imagine having the likes of Keegan/Moran/Vaughan/O’Donoughue/Reape/Loftud to bring off the bench in a league final, can’t ever recall us having a stronger panel, don’t envy Horan having to make cuts to the squad after the league. Coen offers us something v different at full forward, hope to see more of him. Mayo are 9/4 with Boyles, even Mayo +3 is 4/5, not a bad shout. It was clear that the gang shouting were young people and hence I didn’t take any notice of them. They’ll grow out of it and I felt at least they had the enthusiasm and interest to follow the match. And the 3 times they chanted were followed by 2 yellow cards and a red so they didn’t just start shouting at nothing. One of the yellow cards was the foul on Clarke and apparently that was bad (it was a bit far away for me), and the other one was the clear ‘black’ card offence near the end. One other thing, our captain told the ref straight away that it was an elbow. That action is at least as worthy of comment as the kids in the stand. We don’t need him gaining a bad reputation this early in his captaincy. It hurt his brother no end. I hope Horan sticks with the younger lads for the final. Plunkett, if fit, McDonagh, Ruane, Boland etc deserve to start on merit. He has a selection headache, which is a very good complaint to have. Is there any word of a special train for the game? I think, and hope, this league has shown that there is no differentiation between young lads and old lads. Whoever DESERVES the jersey is going to get it. When you have it, you must burst your balls to keep it, otherwise, the next man is in. It MUST be this way to increase competition and ruthlessness in the squad. In truth, as a manager, I’d want them knocking shite out of each other in training for the jersey. Looking at the 7 league games could you honestly say that Boyle and Keegan deserve a jersey ahead of Plunkett or Coen? Does Andy deserve a geansai before McDonagh or Boland? Now I know it may very well be a case that those elder statesmen are not operating at the same level as the younger lads in terms of S&C etc but judging it on pure performances I don’t believe you could select any of those older lads over the young ‘uns. That may all change when the ground hardens and championship looms but for now, you have to go with the men in form. So are there any injury updates on Clarke and Ruane? Was there yesterday and a strange kind of game it was. Got it wrong, expected Monaghan to win, because I thought they would be desperate. They were desperate all right, but not that kind of desperate. They were so casual in the first half (apart from McCarron, and that’s a big apart), I wondered if I had imagined they were in relegation territory. Mayo weren’t intense but I felt they loved the freedom to express themselves and boy did they do it with goals. Beggan? Big questions about his temperament on the basis of yesterday. Lots of balls over the line, missed 45 and he had a general air of ‘I’m the big guy here’. McCarron was untouchable, which was a worry (Clifford to repeat that?). Didn’t know whether I really wanted us in the final – yes of course many, most? bloggers will deplore that. Still, lots of good things: Aido really demonstrating his passing skills and his vision, e.g. the first goal; Kevin Mac’s incisiveness; Fergal Boland’s liveliness and McCormack’s combination of all of the above. Paddy Durcan did look rusty. And what is it about Monaghan? The ‘gut yer man’ philosophy that Paddy Kavanagh depicted all those years ago hasn’t gone away and is on view whenever we play them. Three injuries yesterday causing our men to leave the field, and that’s not mentioning the actual sending off. Monaghan still one of my favourite counties though – love the people. You’re right Catcol. To be fair it’s always a safe bet when we play Monaghan that they won’t finish with 15 on the field. I recall in Clones last year they finished with 12, and 2 of those departures on their part were entirely needless – a punch thrown into the ribs AOS (in front of the ref) which their fans and a whole other twitter following thought merited “a yellow at most” and another needless dig on someone else. Not sure why they need to do that – they’re handy enough footballers without resorting to that. National League Final in a few days is fantastic for both Kerry and Mayo, a national title on the table and a fantastic opportunity for both managers to let the leash off and just go for it as both teams play football and a moment of brilliance or perhaps stupidity could win this one. Kerry will do their best to lessen the influence of O Shea, whether they tag him with a player with the express order of frustrating him or by just keeping the ball as far from him as possible when we have possession. The weather will have a say in this match as well and a dry day may lessen Aidan’s control in the middle but ruane will have eyes on his back as well, he is a great find for ye and going forward he will serve ye well. Some of the Mayo forward play against Monaghan looked top class on the highlights last night so horan must be very pleased with this league campaign thus far. Some on here saying that they would rather avoid the final in case a defeat would have a negative impact on the team going forward. I think that’s a ridiculously cautious outlook and I have no doubt that James Horan and every single member of the setup are licking their chops for a go at Kerry in Croker. I thing it will be a cracker of a game and I don’t know who will get over the line, as a Kerryman I hope we do and I think we will as we have learned much from ye last week. In saying that I wouldn’t be in the slightest bit surprised if ye cheer loudest and latest next Sunday and to be honest I can live easily with that as well. One condition of course is that we give ye a real bellyful and get a top class game into our legs before the championship. A thoroughly pleasing league campaign all in all, took a huge amount out of it, even learned a lot from the Galway and Dublin hammerings too. A national title is not something we can turn our noses up at so i expect team to go at it full tilt next week. The most pleasing thing by far is the amount of newbies laying serious claims on places, new blood was badly needed this year and ive been pleasantly surprised at how many have put there hand up. Reape/D Coen and Boland firmly in the mix too. – Leave AOS at midfield, only place for him. He wasnt doing enough at 11, was much better at number 8 doing what he does best, tackling and winning primary possession. …in all the chaos yesterday i didnt notice it but can somebody confirm who was tagging McCarron and who was tagging McManus yesterday?? Stephen Coen was on McCarron at the start but Barrett got switched on to him after a while. Fergal Kelly ( Longford) appointed referee for the final. It now turns out best player over this past number of years has been playing out of position all this time. Kevin McLoughlin showed on Sunday that he has an eye for goal and when they presented with a few chances, tucked them away with aplomb. This guy, who has been pulling the strings for Mayo all over the field looks very much at home near the opponent’s penalty area and could be a plus for us there on Sunday. Stephen Coen was meant to be marking McCarron, he was on him for 28 minutes in which time he scored 0-4 from play and hit a wide and set up another score. Chris Barrett moved on to him at this stage. Wide ball barret was on him for 4.
Who cares why would you try to put a player who is being played out of position for years,down. I think ceon is a team player and so does the last 3 managements. Coen is a decent footballer. But is becoming a great. A few observations; The Monaghan full-forward line scored ten points from play; Jason Gibbon’s cameo did him no favours but it was his first game in about six months, right now we need him in the squad, he was outstanding for Ballintubber last year; much praise, deservedly, for Darren Coen, Stephen Coen and Brian Reape but Croke Park is a big, big pitch so pace is vital. Further to the last point, Aidan needs assistance in the form of fresh legs, a la Diarmuid or Vaughan, we can’t have him chasing shadows for no worthwhile reason. And of course we have to in if possible, why else play at all? I take the point that the people chanting ” get him off” were young and meant no harm. 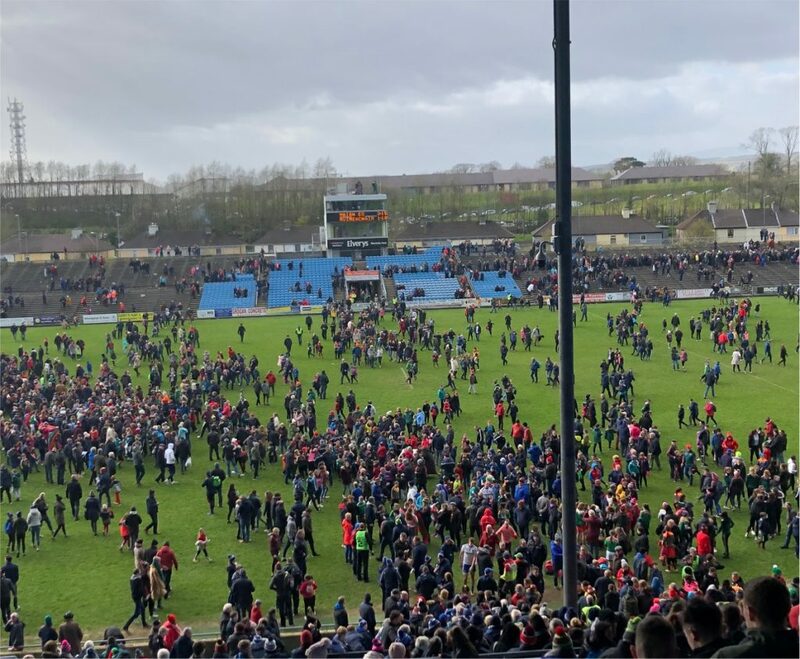 However if the match was in Clones or Sathill and their young supporters were doing the same when our players were being spoken to, we might not be so relaxed about it. With regards the kids shouting get him off, its only a bit of craic. I wouldnt say the Monaghan supporters were too upset. Lot more serious stuff going on in this world, than kids having a laugh on a Sunday afternoon. Like when the Rossies were booing Andy that time in the qf. I found it amusing that he gets under their skin so much, pantomine villain stuff, harmless really. I don’t agree @MayoDunphy. I don’t like kids being so disrespectful. It was loud – fun or not. They booed often too. And chaperones who should know better should have pulled them up on it. I wouldn’t be happy with my kids acting that way just because they are kids. You would not know it was coming from kids unless you were close to them so it had the same effect on everyone, kids or not. Tolerating it promotes bad sportsmanship and bad behaviour. And there is enough of that around. My Monaghan friend Didn’t like it but found it a bit easier to take when she saw it was kids. I didn’t like it coming from Mayo supporters and they let the rest of us down. Couldnt make the game but if I had to listen to kids booing throughout a game it would annoy the beejaysus out if me..If you cant properly manage kids at a game then dont bring them.Simple..
People who don’t know a single player on the field bar Aiden O’Shea or a single rule of the game and scream “kick it in” once the ball passes the half way line offend me far more than a few kids shouting. Some people are easily offended. People did not know it was kids. Most people still do not know it was kids, just go away thinking what an awful ignorant shower Mayo supporters are. Maybe we are?! Willie joe, there appears to be a phantom goal missing from the scorers list, who scored it?, Kevin Mac credited with 2, who scored our third? Will ye forget the kids shouting , kids do bold things , it’s called part of growing up , at least it used to be, probably politically incorrect to say that nowadays, but sure now anyway . You have a point Sean. As Wide Ball says, Auldstock, our third goal was an o.g. – Monaghan’s Ryan Wylie was credited with the final, decisive touch. I’ve included that detail in the relevant entry in the results page but I’ll add it to the match report as well. There seemed to be a large crowd of kids down at end of stand and I’d say they had a great day. Fair Play to the adults who took on the responsibility of bringing them.